Have you done your Xmas shopping yet? 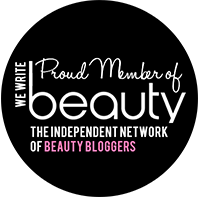 Looking for the best international beauty brands for HIM and for HER? Luxola is the premier beauty online shop in Singapore. We offer FREE next business day delivery islandwide. Yes, it is Deborah Lippmann's Whatever Lola Wants. It is kind of a shimmering marble-like kind of polish and I'm in love with nudes currently. This would be sure to be the first in my wishlist! I've been eye-ing on Deborah Lippmann's polishes ever since I've came across Rouge Deluxe's post about them. Do check out her blog for swatches on several of her favourite colours! This is Deborah Lippmann's Across the Universe. The blue colour of the polish gives me a feeling of a wide space for me to explore far deep in the waters. What I liked about it other than the blue-ness of the polish is that the glitters were kind of dancing in that little bottle of polish, giving me a sense of freedom of expression and allowing my creative thoughts to be known. I might buy this just for the sake of grinding my creative juices rather than using them for my little toe nails. Love and Toast's Little Luxe Perfume in Sugar Grapefruit. It sounds like it has a really nice scent from the descriptions extracted from Luxola: "Sugar Grapefruit with pink grapefruit, orange citrus, warm musk and Lily." Well, you must be thinking why I chose these few items out of many many items from Luxola.com. Well, I must say that I really loved all the products that Luxola.com provide us(shop-aholics and beauty-holics), but these are the few which I think it is worth spending for your loved ones. Before I end off, I would like to remind you all that it's 3 Days to closing the Luxola Gift Bag giveaway, do join in if you haven't! By the way, there are few reviews coming up and I'm working on them!